The Purair® Advanced Series ductless fume hoods are a series of high efficiency products designed to protect the user and the environment from hazardous vapors generated on the work surface. At the heart of the Purair® fume hood product line is the innovative Air Science® Multiplex Filtration Technology that creates a safe work environment over the widest range of applications in the industry. Advanced carbon filtration technology offers a safe, high performance alternative to conventional ducted fume hoods for a broad range of applications. Environmental Benefits. Air Science® ductless fume hoods isolate and trap chemical vapors to prevent ecological impact through release into the environment. Versatile. Each filtration system is selected for its specific application. The Multiplex Filter broadens the range of applications. Carbon filters are available in more than 14 configurations for use with vapors of organic solvents, acids, mercury, formaldehyde. HEPA/ULPA filters can be added for biological safety. Self testing. (selected models) Electronic air flow monitoring assures continuous safety. An electronic gas sensor monitors carbon filter performance. Purair® 10XL, shown with optional mobile cart. L. Dynamic Filtration Chamber: The dynamic filter chamber prevents any possible leakage of contaminated air by pressurizing the fan plenum (positive air) and depressuring the filter compartment (negative air). Construction: All models are available in either metal or polypropylene construction. See selection chart for specifi cations and dimensions. Specify metal or polypropylene when ordering. Available in 110v /60 Hz models. Air Science® fume hoods use energy-efficient ebmpapst brand centrifugal blowers for long life, dependable performance. construction, totaling 42 standard models. Purair® Advanced product line is available in seven standard sizes. The Air Science® filter assembly is easy to access, easy to change. Purair® 20, shown with Multiplex Filtration System. The Purair® Series ductless fume hood maintains a constant face velocity of 100FPM in compliance with USA and international standards for safety and performance. Contaminated air is pulled through the Multiplex filtration system where activated carbon adsorbs chemical vapors; clean air is returned to the room. A. The main filter is easy to replace, no tools required. The filter glides in on a wheel and track system, then clamps tightly against the filter gasket to prevent filter tears and maintain filter integrity. 29.5" x 27.375" x 45.875"
50" x 40" x 36"
34" x 27.375" x 45.875"
39.5" x 27.375" x 45.875"
40" x 50" x 36"
49.5" x 27.375" x 45.875"
55" x 60" x 36"
59" x 27.375" x 45.875"
40" x 67" x 36"
69" x 27.375" x 45.875"
40" x 80" x 36"
96" x 27.375" x 45.875"
40" x 108" x 36"
30" x 27.375" x 53"
50" x 40" x 42"
34" x 27.375" x 53"
40" x 40" x 42"
39" x 27.375" x 53"
40" x 50" x 42"
49" x 27.375" x 53"
55" x 60" x 42"
59" x 27.375" x 53"
40" x 67" x 42"
69" x 27.375" x 53"
40" x 80" x 42"
96" x 27.375" x 53"
40" x 108" x 42"
30" x 24" x 45.875"
34" x 24" x 45.875"
39" x 24" x 45.875"
49" x 24" x 45.875"
59" x 24" x 45.875"
69" x 24" x 45.875"
96" x 24" x 45.875"
White epoxy coated steel frame and head unit. Clear sides and back panel. Polypropylene spill tray. 110V, 60Hz or 220V, 50Hz voltages available. Specify when ordering. Other voltage options available. An additional carbon, HEPA or ULPA safety filter exceeding ANSI/AIHA Z9.5 requirements can be installed after the main filter. HEPA and ULPA safety filters for biological safety protection are available for all models. Contact Air Science® for ordering information. 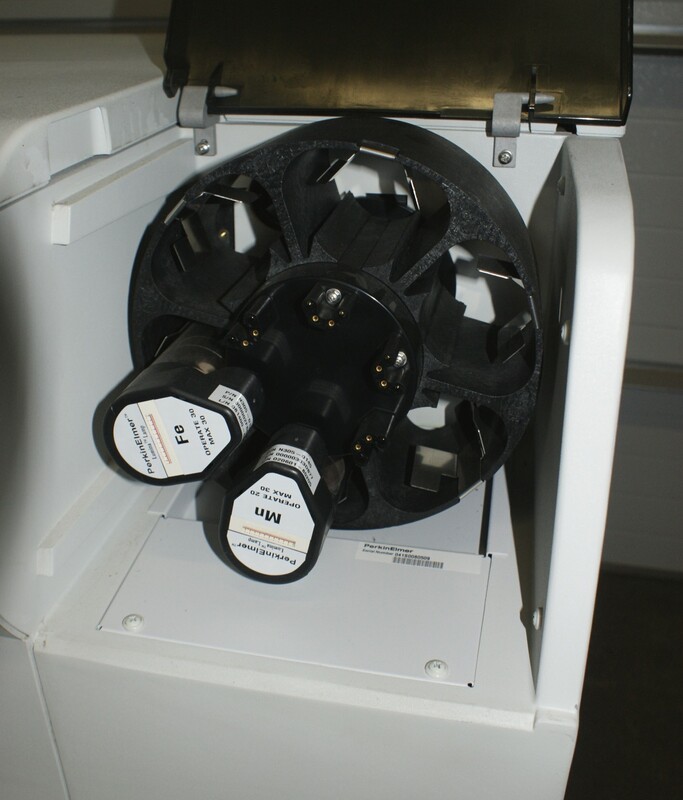 An electronic gas sensor emits audio and visual alerts when the main filter needs to be changed. Polypropylene spillage tray, available in white or black, slides out for easy cleaning. Microprocessor controller monitors cabinet operating parameters, airflow, containment, and filter condition; emits audio and visual alerts if conditions become unsafe. The mobile cart provides a lower storage shelf; accommodates wheelchair access. Locking casters fix the hood in place. Provides storage space below and a cup sink, swan neck faucet, and service fixtures. Provides wheelchair access and lowered remote controls. All Purair® Advance models are available in ADA compliant configurations. Contact Air Science® for ordering information. Cabinets are available in all polypropylene construction. Contact Air Science® for information. Cabinets can be fitted with service fixtures such as petcocks, faucets or valves. SF-X. Specify service fi tting type (faucet, valve, petcock) and location when ordering. Hanging rod spans the width of the cabinet. Cup sink is fitted into the base tray. The remote control consists of a hand held box connected via cable to the head unit, and can be used inside the work zone. Includes an On/Off switch and blower speed control. A UV lamp is available for overnight decontamination of interior surfaces. The UV kit includes a timer, door microswitch fully closing front sash, and UV filtering clear polycarbonate panels. The UV operation must comply with local codes and facility safety practices. Contact your facility safety officer for details. ** Handheld box connects via cable to head unit. Includes On/Off switch and blower speed control. Can be placed inside work zone. *** Includes timer, door micro-switch and fully closing front sash, all clear panels polycarbonate (UV filtering). Safety precautions need to be followed. Optional Monitair® control panel monitors all cabinet safety parameters including airflow, containment, and filter condition. Audio and visual alarms alert the operator whenever any operating conditions become unsafe.